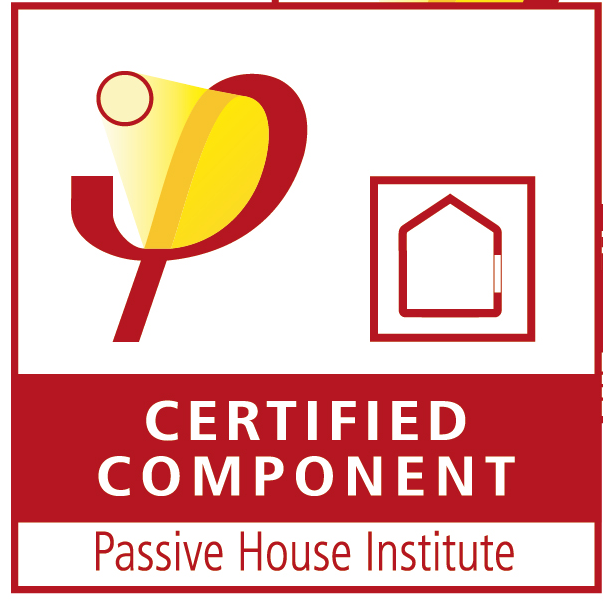 Premium Profiles with Passive House Energy Performance. 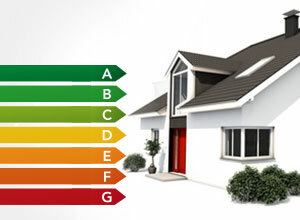 Whether you are renovating or building, insulation is an important consideration. 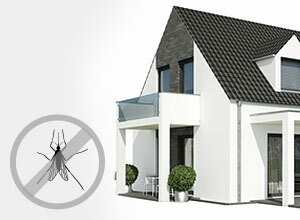 The Energeto 8000ED series meets the highest European requirements including those for passive houses and offers U-values well beyond Energy Star standards. This is made possible by innovative fiber-reinforcement and a special polyurethane foam filled profile which boots the frame's insulation ability. 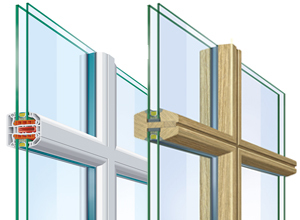 Triple glazing up to 17⁄8inch (48 mm) thickness. 98.2% recyclable profile and lead, cadmium and barium free. 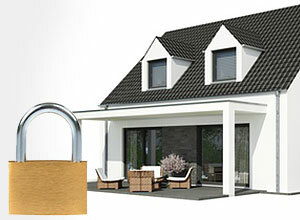 Windows and doors are typically the number one source of energy loss in homes based on studies and thermal imaging. 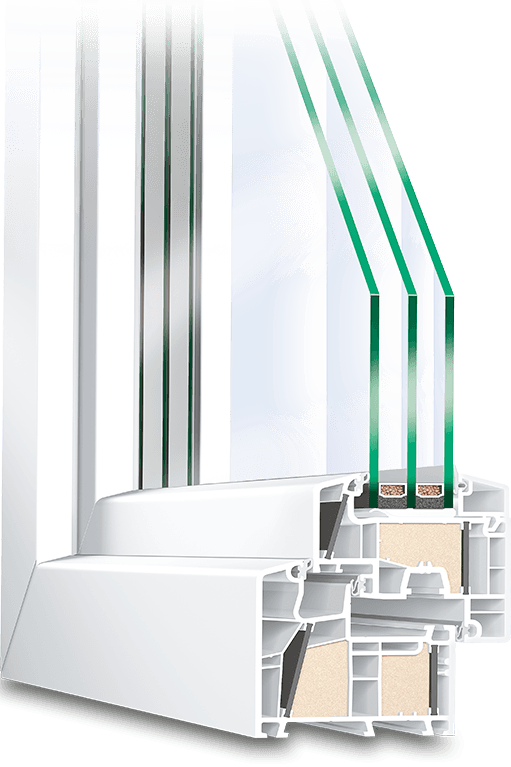 The Energeto 8000ED profile easily solves this via a combination of advanced features meeting and even beating Passive House U-value requirements. Ultradur® carbon fiber inserts eliminate the effects of thermal bridging, while helping to create the multi-chamber design required for an efficient profile. 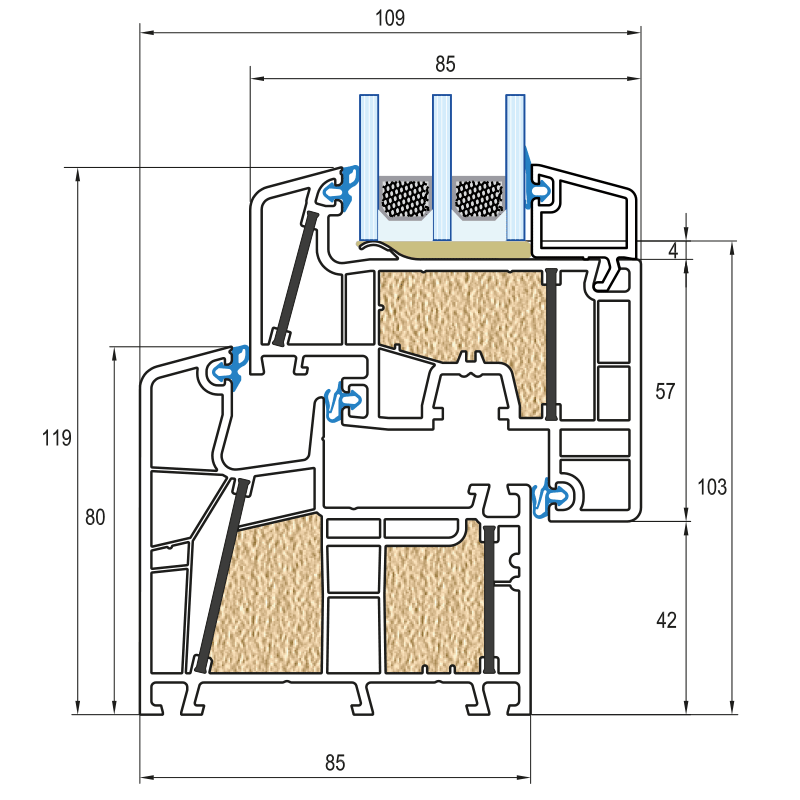 Next, multiple chambers are filled with precision high-pressure foam giving the frame a substantial boost in insulation while also reducing its overall heat conductivity. 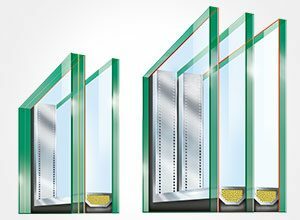 In addition to their superb energy efficiency, the Energeto 8000ED models also meet the highest standards of burglary protection. 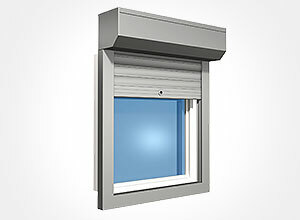 German made Winkaus activPilot hardware ensure durability and security with a range of further upgrade options to suit your requirements based on the window's location. 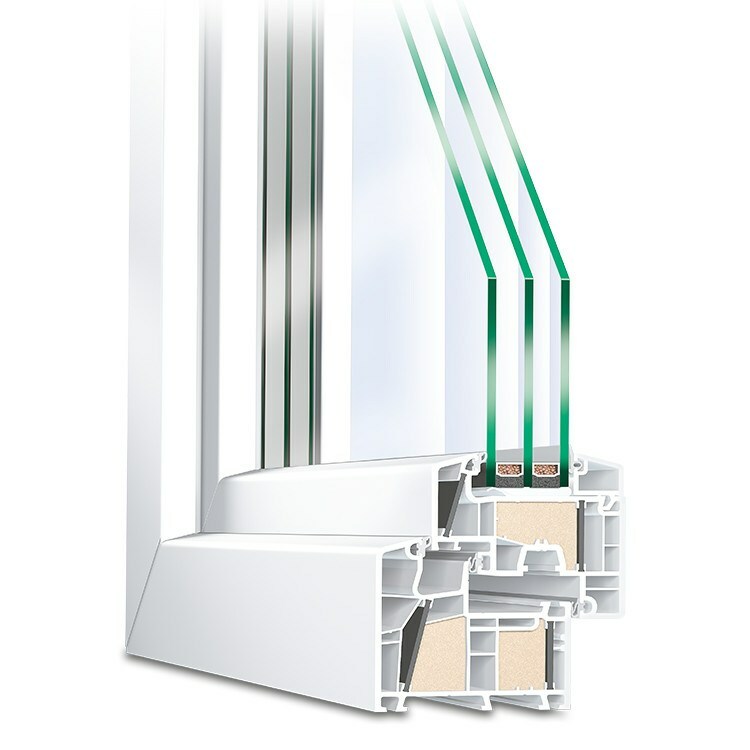 vinyl windows using Energeto 8000ED profiles can be specified to suit the requirements of any project. 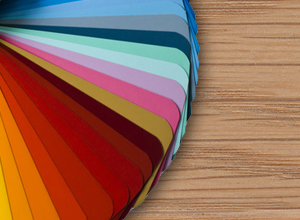 From standard white to a range of RAL colours and decors, including traditional wood finishes. 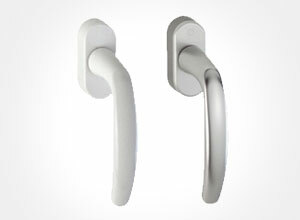 Further options include ornamental glass for decoration or privacy, and a wide selection of interior hardware. Frames can be manufactured in whatever custom shape you require including arches, circles, ovals, trapezoids and more. All of our products are custom built for your specific project.